With doctors and news reporters claiming 2013 is the worst seasonal flu outbreak in ten years, how should one prepare? As many know, the flu shot won’t prevent the flu altogether, just lessen the blow. And often times when people detect the slightest onset of illness they stock up on quick fixes like Airborne, or Vitamin C tablets. But by that time, it’s too late. As a person who loves food, I like to impart not only the most decadent tips and advice for preparing and finding delicious meals, but also how to use food to our advantage. Food is the most natural source of vitamins and minerals we can feed our body. It is the most natural way to prevent illness and chronic diseases from diabetes to heart disease. If you think about it, back in the day, people didn’t have a million varieties of Advil and Tylenol, or steroids or antibiotics. They self-healed. Don’t get me wrong, medicine has come a long way and has made tremendous advancements in saving lives. But something like the common cold, and even the flu epidemic of 2013 can be easily combated or at best avoided altogether with some simple dietary alterations. 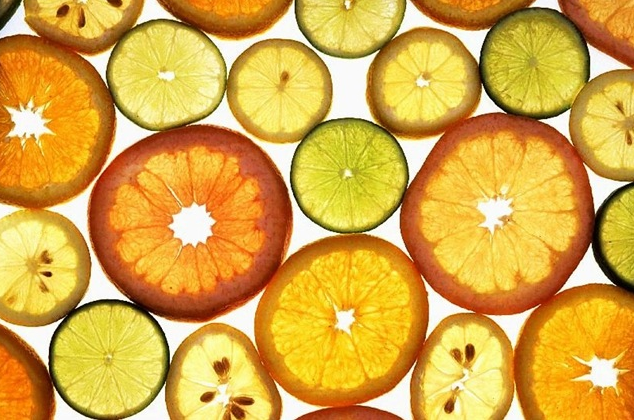 To start, Vitamin C is our best friend when it comes to boosting immunity and injecting antioxidants into our system. Most people immediately reach for the OJ. But, here are some all-star Vitamin C rich foods that far surpass the orange. These exotic tropical jewels are in season from November through April, a perfect addition to your winter fruit bowl. Try and find ones that don’t have a stamp in their passport. Farms on the west coast and Florida have started distribution. Don’t have to tell me twice! Most common chili peppers are jalapenos, Thai chili peppers, poblanos, and fresnos. These guys might be tough to eat raw, so considering they already have a massive amount of Vitamin C, a cooked chili pepper will still have a pretty healthy dose. I might add a qualifying note of consideration when consuming strawberries. Their season doesn’t come until May/June and the winter months are really tough on strawberry distribution. If you have your heart set on those big, perfectly red, all similar in shape and size strawberries you see in the markets now, save them to dip in chocolate. Chances are they will need an extra boost in flavor. Sweet, delicious and easy to eat raw. You can also find orange and red bell peppers which carry more Vitamin C than the green. Another exotic beauty, maybe we should just move to the tropics! When selecting one to take home with you, look for skin that is turning from green to yellow and you should be able to press your thumb into the flesh. If it’s too soft or mushy, or if it has a sweet smell to it, the papaya is overripe. Like avocados you want to buy when they’re firm and allow about 2-3 days to ripe on the counter. These guys are also great sources of magnesium which supports nerve function, strong bones and regulate blood sugar. A real super food! Enjoy these raw veggies with some hummus dip or light dressing. Even raw Brussels Sprouts shaved thin is delicious in salads. Dark, leafy greens are full of Vitamin C and easy to use in salads. So here we are at #10 and to be fair, 1 cup of raw orange does have just about the appropriate amount of daily recommended intake. The point is, there are 9 other foods that have super Vitamin C values (not to mention a whole host of other vitamins and minerals) so change it up every now and then, and be well!